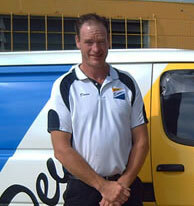 At Devin’s Windscreens we can service all your business vehicle glass requirements. From small to large fleets, coaches and buses to plant and agricultural vehicles. Our experienced Technicians can replace your commercial windscreens as well as side and rear glass. Time is important to operators of commercial vehicles, and we recognise your need to minimise the time that your vehicle is out of use. Our Customer Service staff will liaise with your Transport Manager or Driver to arrange a convenient time, allowing a smooth replacement of your glass with minimum downtime to your business. Our depot carries a large stock of Commercial Windscreens ready for our experienced Technicians to service your requirements. That’s why at Devin’s Windscreens we have introduced two new products into our range to specifically meet the needs of our Commercial Operators. To find out more about our NEW product ranges for Commercial operations, simply call 07 5429 8855. We are more than happy to email or fax the Devin’s Windscreens Commercial Information Factsheet to you.